My daughter and I love doing a quick paper plate craft together. I think it’s because we always have paper plate craft supplies on hand. Our latest craft was inspired by Happy Hooligans. 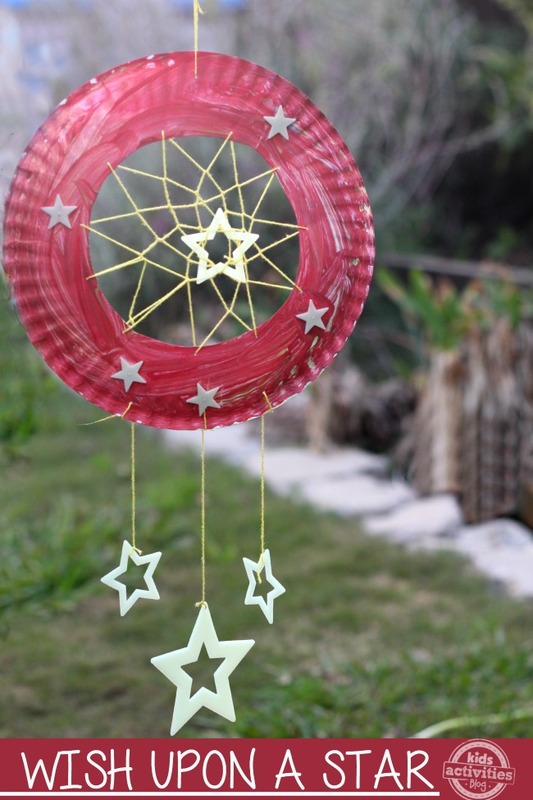 Jackie made these adorable paper plate dream catchers and I had to make one with my daughter. So, there we were, standing in the dollar isle at Target when I saw a packet of glow-in-the-dark stars for $1. I couldn’t resist! We took them home and decided to add our glow in the dark stars to our paper plate craft dream catchers. The results were truly gorgeous. First, cut out the center of the paper plate. Then, let kids paint with whatever colors they choose. 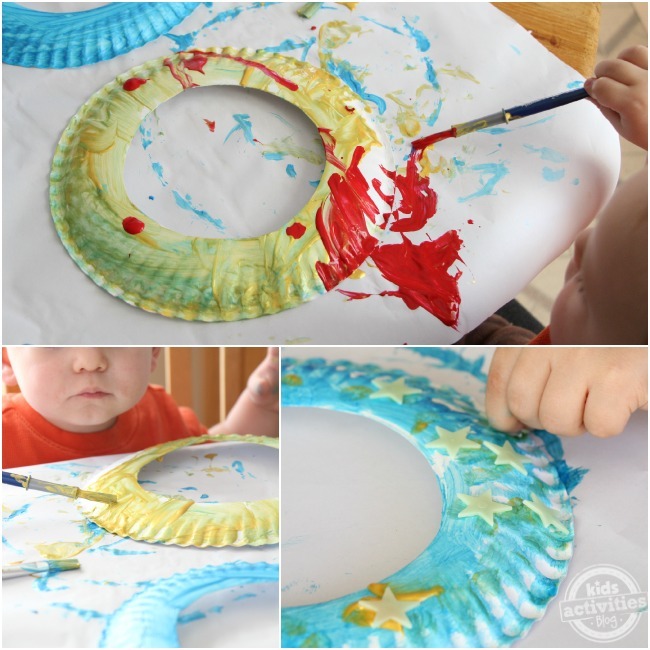 When they dry, punch small holes all the way around the inside of the paper plate. They can be wide apart. Now, this is where is gets a little tricky. I had no idea how to thread a dream catcher, but it’s super simple and has a gorgeous result. Note: You can also let kids thread the dream catcher however they’d like if you prefer! Thread loosely through each hole that you hole punched. When you’ve made it all the way around, start threading through each “bump” that the thread created. Pull as you go. When you get all the way around again (it should look like sun rays like in the picture above), you’ll start threading under the thread (through each “sun ray”) until you get all the way around. Keep going until the opening is small. Wrap the thread around a glowing star or, if you don’t want the star, just make a knot. 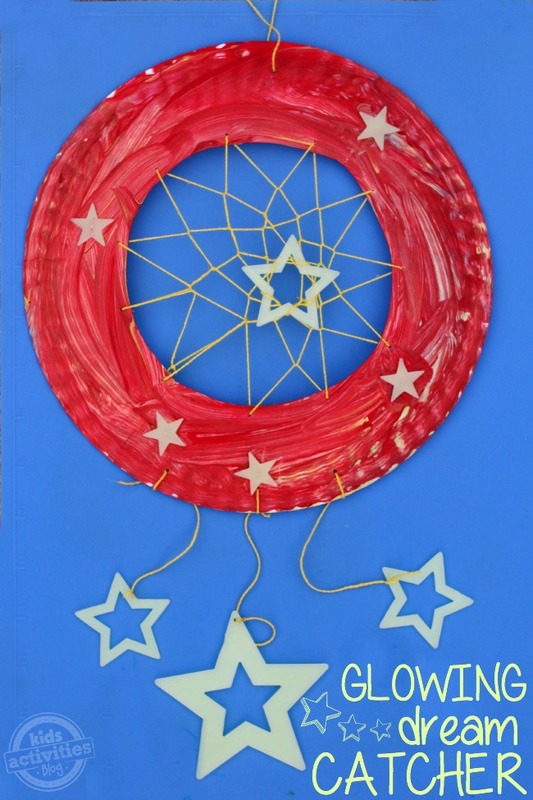 Add three holes to the base of your paper plate and thread with string and a glowing star. Your own glow in the dark dream catcher. Perfect for hanging over your little one’s bed. 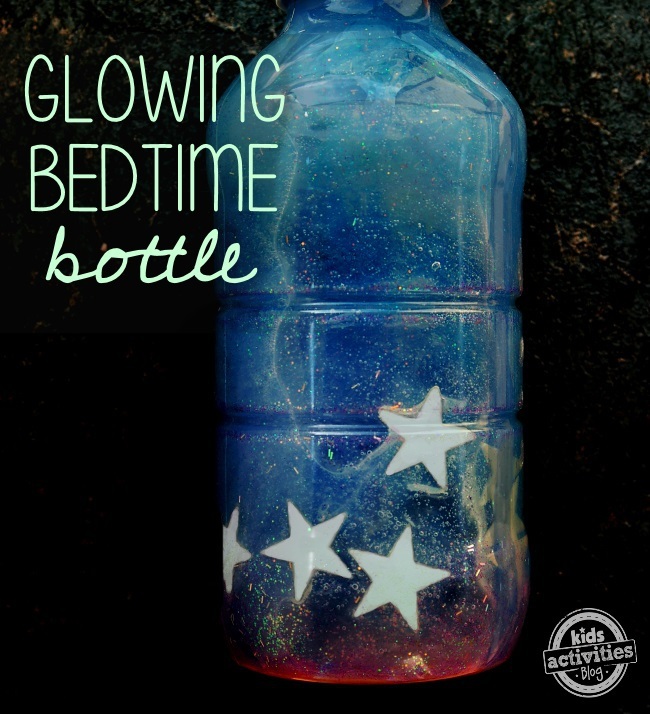 This glowing sensory bottle is perfect for bedtime. The glow in the dark aspect makes for a magical bedside companion for the kids! Our glow in the dark slime recipe will keep the kids busy for hours. Don’t forget to play this glow in the dark tic tac go while you’re at it! 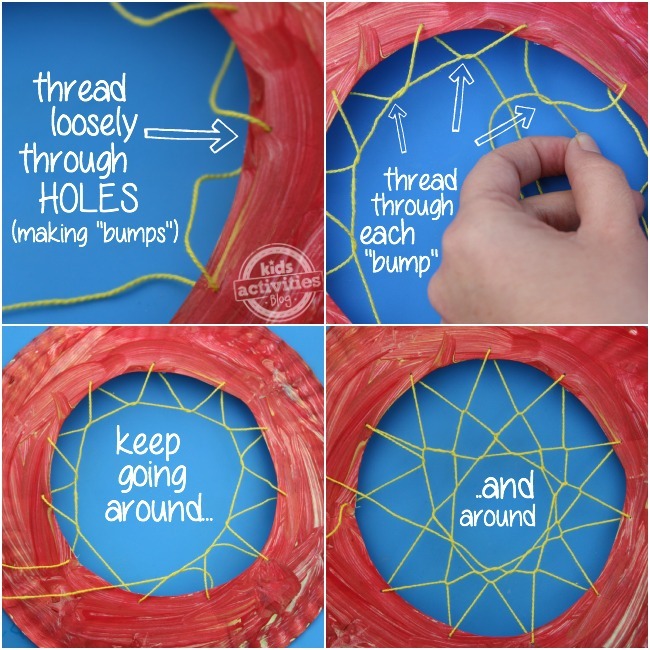 Leave a comment: Will you and your kids be trying out this fun craft?